Fire commands are the means by which leaders control fires. A fire command is a set of instructions, given in a prescribed format that enables the gun crew to properly engage the desired targets. There are two types of fire commands: initial and subsequent. Initial fire commands are used for engagement of targets and the shifting of fire to new targets. Subsequent fire commands are used to adjust fire, change the rate of fire, and cease-fire. The explanation below is based on two gun crews. A good fire command is brief and clear, and in the proper sequence. It is given clearly at a rate that is easily understood by the gunner. Gunners repeat each element to ensure understanding. It is unlikely for a complete initial fire command to be issued during a fire fight. The leader determines which elements of a fire command are obvious to the gunners and which elements must be given to them. Some targets may be engaged with only the alert, range, and command of fire. For example: FIRE MISSION, SEVEN HUNDRED, FIRE. 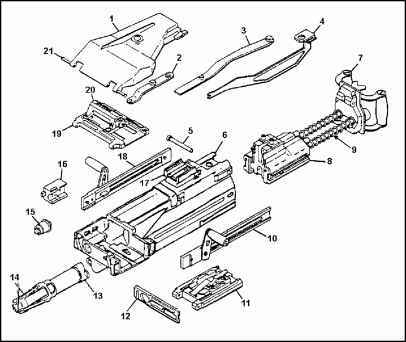 The procedures outlined below are used to accustom gunners to issuing and executing instructions in a logical sequence. The use of complete fire commands in training prepares the gunners to receive fragmentary fire commands in combat.